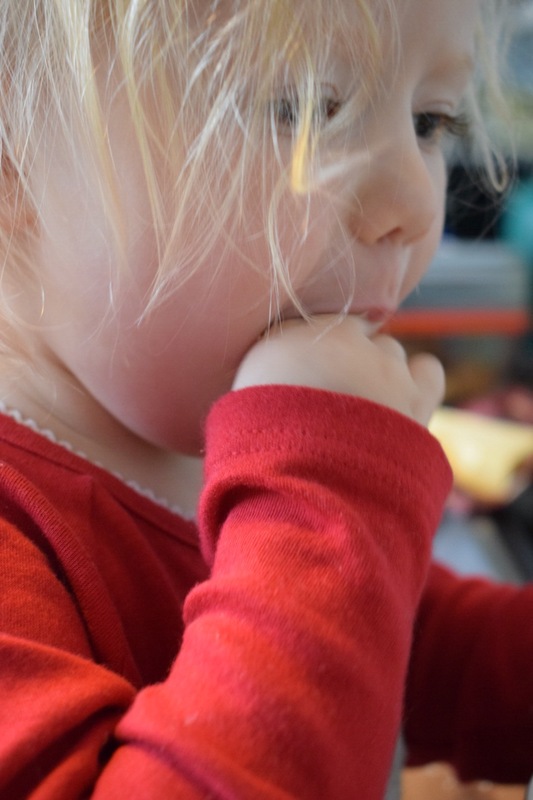 When Boo started to eat solid food, we decided to do baby led weaning. I had so much fun finding different foods that she would enjoy! Some of those recipes have become firm favourites that we still enjoy. Fritters is definitely up there with one of our family favourite light bites. Now, I must confess that I never use a recipe or measure and weigh anything. 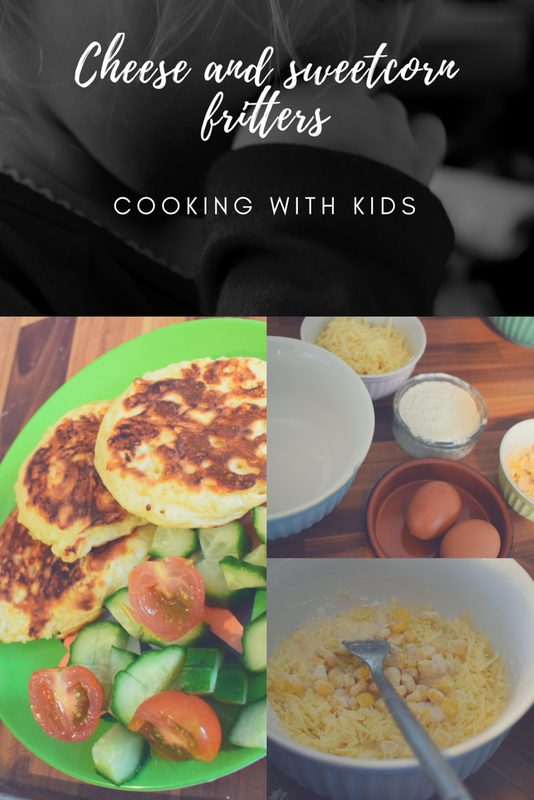 I’ve created the recipe (and tested it) for the sake of the blog, but feel free to make changes as I’ve not had them fail yet. Mix the egg and flour. Once it is lump free, loosen the mixture with a little milk. Pop the mixture in the fridge to rest. If you can’t get all the lumps, you can push it through a sieve. Or, if you are a busy Mum like me, you can ignore the lumps because priorities. NB. If you are cooking with your kid, you will have lumps and it won’t matter much in the grand scheme of things. Grate the cheese. We often use the food processor to grate the cheese because Boo can help. Alternatively you can grate the cheese while the kid mixes the batter. Make sure you have kitchen roll on hand for the spillages that will inevitably occur! Get the batter out of the fridge and add the cheese and sweetcorn. Add anything else you want. I like a pinch of paprika and twist of pepper. Heat a frying pan, a heavy bottomed pan works best. I put a little oil on some kitchen paper and smear it round the pan. Too much oil makes them really greasy. Cook small blobs of the mixture on a medium heat until bubbles form on the top or the sides start to colour. Flip and give them another minute or so. Pile high on a plate alongside some cucumber and tomatoes and lunch is ready! Tip: the only stage Boo can’t help out with is the cooking. For this stage I put a washing up bowl with soapy water on her table and put some of the dirty dishes in. She has fun ‘cleaning’ and splashing giving me time to cook. Alternatively, if there is lots of mixture, she spoons some into a muffin tray while I cook to make a batch to cook and freeze. Boo spooning mixture as I cook. Note the addition of peas as Boo ate most of the sweetcorn before it made it to the mix. We will quite often have these without flour making them a light, gluten free lunch. If you choose to go flour free, it helps if you use frozen sweetcorn. 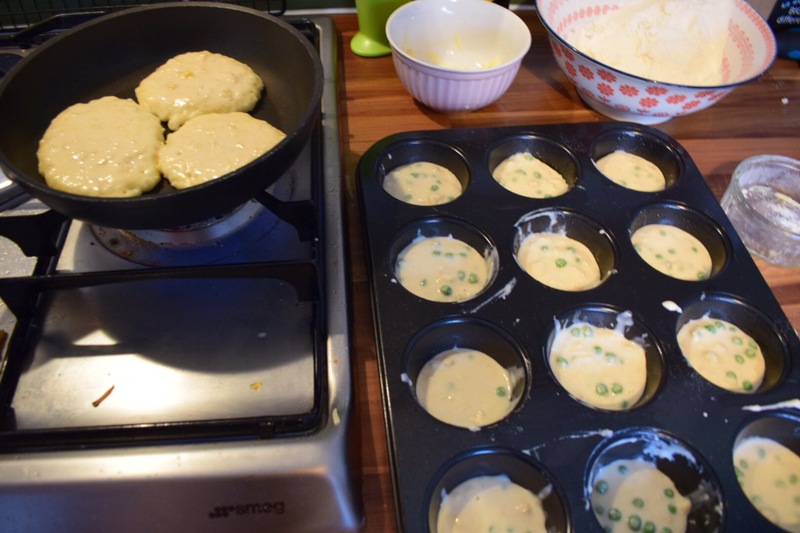 It will make the batter seize and thicken so it is easier to create small fritters. Alternatively, you can grease a muffin tray and spoon the mixture in to make little eggy muffins. We actually just chuck in whatever is in the fridge or whatever leftovers need using! Fun and easy and Boo actually eats vegetables and protein! Winner! Previous Sometimes, recovery takes longer than you expect. Next I am in a bad mood.